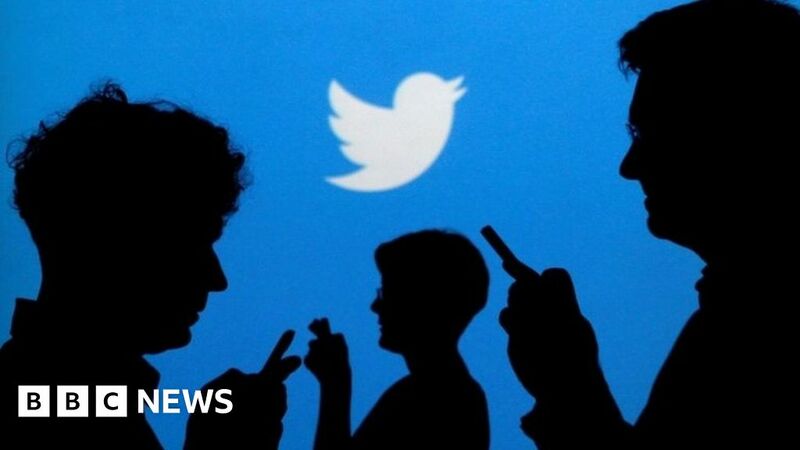 Twitter has reported a jump in profits for the final quarter of 2018, despite a fall in the number of people using the micro-blogging platform. Profits rose sharply to $255m (£197m), more than double the $91m profit it made a year earlier, as advertising revenues grew. But Twitter downgraded its revenue forecast for the current quarter. The company said user numbers were down in the last quarter because it had deleted millions of abusive accounts. Twitter removed some accounts after criticism that it was facilitating political manipulation and hate speech. Twitter said revenue in the last quarter had risen 24% to $909m as video advertising grew. But the firm said its revenue for the first quarter of 2019 was likely to fall to between $715m and $775m, lower than the range analysts had expected. It also said operating expenses for 2019 were likely to be 20% higher than the previous year, making it harder to maintain higher profits. Social media companies have come under pressure to police the content of their sites more closely after scandals over mental health, user privacy, hate speech and political campaigning. Twitter said it had removed millions of abusive accounts as part of its clean-up effort. Currently 321 million people use Twitter, as calculated on a monthly basis, down from 330 million a year earlier. Twitter said it would stop disclosing monthly active users and switch to reporting active daily users instead.